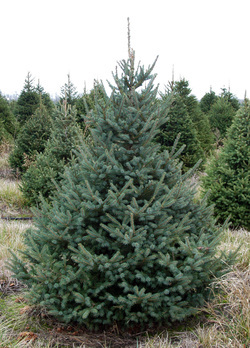 White Spruce have a good natural shape with a cone shaped crown. 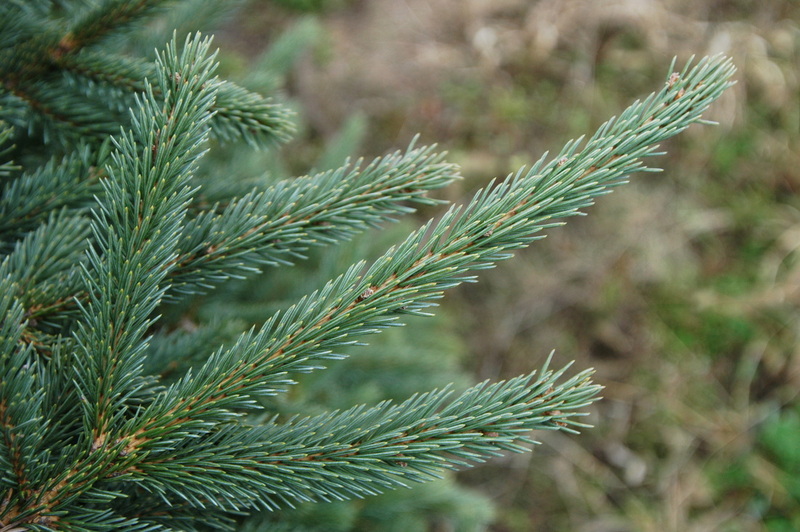 Needles are bluish green to green and are short and stiff (1/2 - 3/4 inches long) with a blunt tip, so they are very good for holding ornaments. Needle retention is very good(especially with proper water in your home! 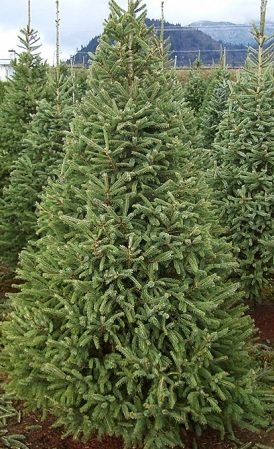 ), much better than other spruces.